Estate and wealth transfer planning is a complex undertaking and must be a collaborative effort between your experienced and knowledgeable advisors. 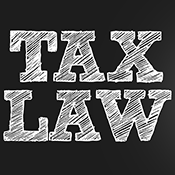 Together, your attorney, tax advisor and I can help you develop and implement a plan that addresses your desires as well as your family's needs. We can discuss this topic at a future meeting or please reach out with questions. REPURCHASE THE STOCK - Companies in the S&P 500 spent $806 billion on stock buybacks in 2018, breaking the old record for share buybacks of $589 billion set in 2007 (source: S&P). HALF WORK, HALF DON’T – 156.7 million Americans have full-time jobs today, 48% of our 328.7 million citizens (source: Department of Labor). TRADE SCHOOL, NOT COLLEGE - There are 30 million full-time jobs in the United States today (19% of all jobs nationwide) that pay at least $55,000 per year and don’t require a bachelor’s degree from college (source: Georgetown University Center on Education and Workforce). 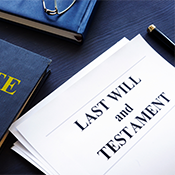 DO IT - 58% of Americans have not executed a will and other estate planning documents, e.g., a medical directive that specifies what actions should be taken to prolong an individual’s life (source: Caring.com). While much has been written about the rally in the US stock market since late December, few market watchers saw that a powerful (and surprising) bond rally was also developing. The gamechanger was the Federal Reserve, first raising rates 5 times over a 9-meeting stretch through mid-December 2018, then abruptly reversing course and all but promising no more rates hikes for the remainder of 2019. Lower borrowing costs are always good for domestic stocks and for the American housing industry. The S&P 500 index is up +16.0% YTD (total return). The average interest rate on a 30-year fixed rate mortgage is 4.08% today, down 0.86 percentage points in just 5 months (source: BTN Research). As of the end of 2018, the US stock and bond market was worth a staggering $70 trillion, split between $27 trillion of stocks and $43 trillion of bonds. The magnet for American equities has been the power of the products and the people that make up US businesses. The magnet for the American bond market has historically been the integrity and liquidity of the deepest debt market worldwide. More recently as the rest of the world’s central banks have dropped rates to stimulate their sagging economies, US interest rates stand out because they’re higher than found in most other industrialized countries (source: BTN Research). Student loan debt nationwide, totaling $1.46 trillion as of 12/31/18, has been a drag on the US economy in multiple ways – reduced the number of first-time home buyers and delayed marriages within the Millennial generation, both of which have contributed in part to a 30-year low in the number of births in the USA (source: Census Bureau). If you know someone who could benefit from this email, please feel free to forward it along. She got that from me. Is it possible to pass down a generosity gene to your children? 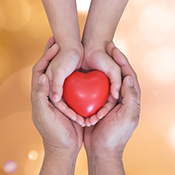 Family charitable and philanthropic giving may depend on it. It is always a tough time. 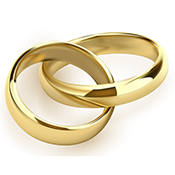 Your spouse or partner passed away, and you need to figure out how best to proceed. It’s a lot of work, but it needs to be done right to avoid future problems. 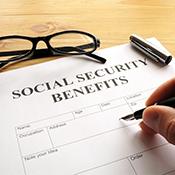 If you continue to work while receiving Social Security retirement benefits, you may have a benefit reduction now, but it could lead to higher benefits later. Financial stress in retirement can dampen some of the joy in life. 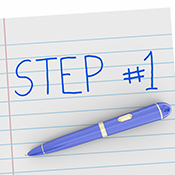 There are a few steps to take to make it less worrisome. NO ONE TO ARGUE WITH - 76% of all US businesses are 1-person self-employed entities, operating with zero additional employees (source: Census Bureau). DIFFERENT RULES - The admission rate at Harvard for applications from the children of wealthy donors, alumni and faculty is 34%. The admission rate at Harvard for all other applications is 6% (source: Harvard University). It was a rumor, but now it’s a fact. The Federal Reserve has no plans to raise interest rates throughout the remainder of 2019. Fed Chairman Jerome Powell confirmed in his post-meeting press conference last week that Fed officials will be “patient” in determining the future course for interest rates, largely interpreted that investors can expect “flat to declining” interest rates for possibly the next 12 months. Powell also indicated the “shrinking” of the Fed’s balance sheet will continue for just 6 more months, stopping in September 2019 (source: BTN Research). The initial reaction to the Fed’s plan was positive, pushing the S&P 500 to a 2019 closing high on Thursday (3/21/19). How could investors be anything but thrilled after learning that the Fed’s 3+ year rate-hike cycle might be completed? However, by Friday’s trading (3/22/19), doubt had replaced enthusiasm and domestic stocks dropped. Has the US economy slowed that much that it might require an interest rate cut? Might the nation’s historically low jobless rate (3.8%) move north as consumers cut back on spending? Did Powell’s comments spook investors to overreact and read way too much into his statement, or will the weekend provide investors time to recognize the win they have just been handed? (source: BTN Research). The US government ran a $234 billion budget deficit in February 2019, its largest monthly deficit in history. As recently as 2007, our nation’s budget deficit for the entire fiscal year ($161 billion) was less $234 billion (source: Treasury Department). 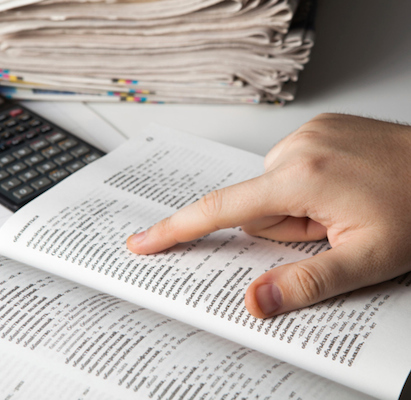 The benefits of a ROTH IRA are mentioned in what seems like every financial article written for magazines or online sites. For many retirement savers, ROTH IRAs are an option worth exploring on a personal level. However, did you know there is also a ROTH 401k option available through most company sponsored 401k plans? Reach out to your company's benefits specialist and ask if the 401k plan has a ROTH option. If it does, I can help determine which 401k contribution, ROTH or tax-deductible, is best for you. If no ROTH option is available, ask why and if they would consider looking into it. Employers can offer both a ROTH and traditional 401k option for employees reasonably easily. If your company does not have a ROTH 401k option, our office can certainly get involved and provide information to your company's benefits specialist if needed. Just let us know. REALLY BIG NUMBERS – President Trump was expected to release an overview of his fiscal year (FY) 2020 budget on Monday, to be followed by budget details on Monday 3/18/19. Total FY 2020 government spending is projected to reach $4.69 trillion or just short of $13 billion a day (source: White House). MAKING THINGS - The 12.8 million manufacturing jobs in the United States as of February 2019 is the nation’s largest total since December 2008 (source: Department of Labor). HOMES - The average single-family home in the USA increased in value +5.7% during 2018. Home values in Idaho increased +11.9% (top state) while home values in North Dakota were flat (bottom state) (source: FHFA). It was the bull market that few investors saw coming in March 2009. Over the preceding 17 months, the S&P 500 had fallen 57%. But all that pain set the stage for what is now the longest bull market in US history. Although the last 12 months (through last Friday’s close) have tacked on just a +0.4% gain (total return), the entire decade-long bull run for the S&P 500 index has resulted in a +400% increase, equal to a +17.5% annualized gain. One lesson to learn for the next bull market (that will occur after the next bear market): the biggest money made in a bull market oftentimes comes early. During the first 12 months of the current 10-year bull, the S&P 500 gained +72% (source: BTN Research). The record streak of consecutive months of employers nationwide adding new jobs is now at 101 months (dating back to October 2010), but the +20,000 new net jobs added in February 2019 was woefully short of the expected number. The February total, just the 3rd month in the last 8 years that reported less than +100,000 new net jobs, might be a harbinger of an economic slowdown or may be a one-month aberration that will be revised upward in early April 2019 (source: Department of Labor). The United States is in its 117th month since the end of the last recession in the country. In records maintained since 1854 (the last 165 years), the nation has had just one period that avoided a recession that was longer in duration than 117 months. Thus, it’s not unexpected that 42% of 281 American economists surveyed last month believe the United States will be in a recession by the end of 2020 (source: National Association for Business Economics). Medicare and Social Security are distinct and separate. Both require careful thought and consideration so you make the best decisions at the right time. 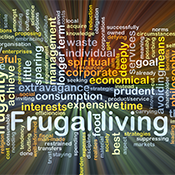 There is no problem with being frugal but what exactly does it mean? Different people have different priorities and how they spend their money reflects that. 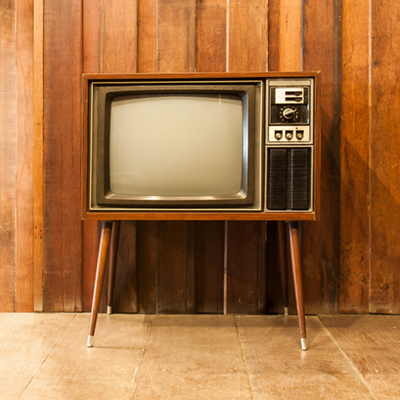 It’s difficult to avoid family issues when dealing with the inheritance of personal property. Seeing things from different perspectives always helps. Good financial habits are essential for financial success. 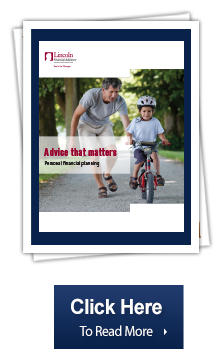 Teaching children and grandchildren the best ways to handle their personal finances is one of the most important things any parent or grandparent can do. RED FEBRUARY - The last time that February did not produce the largest monthly deficit during a fiscal year was in fiscal year 2002 or 17 years ago (source: Treasury Department). NO MORE WORK TO DO - 37% of retired Americans report they retired earlier than planned as a result of health problems, buyout packages, layoffs, grandchildren, or caring for an aging parent (source: Health and Retirement Study). IT’S NOT THE FIRST ONE - The national emergency announced on 2/15/19 is the country’s 32nd active and ongoing national emergency. The oldest active national emergency was enacted on 11/14/79 (source: Federal Register). Coming on the heels of a near-bear market, US stock investors can be forgiven if they didn’t see the bounce-back of 2019 coming. From a record close of 2931 on 9/20/18, the S&P 500 fell 19.8% to 2351 by the close of trading on Christmas Eve, within fractions of the “20%-decline” definition of a bear market over the 3-month tumble. Fast forward into the first 8 weeks of 2019 and the nagging sense that a global recession was imminent has been pushed aside. The S&P 500 has advanced in 7 of the 8 weeks this year, gaining +11.7% YTD (total return) in the process. The stock index closed at 2793 last week, now down less than 5% from its all-time closing high (source: BTN Research). They are not the final decision-makers, but enough progress had been made to keep the Chinese negotiators in Washington D.C. for additional trade talks over the weekend. The goal of both sides: lay the groundwork for another meeting between President Trump and Chinese President Xi that would end the trade dispute. The initial tariffs in the US-China trade war were implemented on 7/06/18. In the 7 ½ months since then, the United States has imposed tariffs on $250 billion of Chinese imports and China has imposed tariffs on $110 billion of US imports (source: United States Trade Representative). It has been a very difficult couple of years for shopping malls across the United States. 5,524 brick-and-mortar retail stores closed nationwide in 2018, down from a record 8,139 store closures in 2017. Another 2,187 retail stores have already closed YTD through 2/09/19 (source: Coresight Research). ESG investing allows you to make meaningful investments while pursuing your financial goals. It is becoming more popular with many clients, especially younger investors. Performing as a steward of the environment. Managing relationships with its employees, suppliers, customers and the communities where it operates. Its leadership, executive pay, audits, internal controls and shareholder rights. Investing in companies whose values align with yours may be something to think about. ESG factors cover a wide range of issues and may have relevance for you or your children. 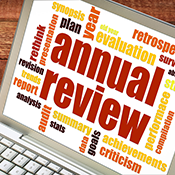 If you feel it’s something you would like to consider, let’s review at our next meeting or feel free to call to discuss further. Hand me the Tylenol and call the accountant. 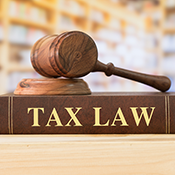 The new tax laws are effective this year and, with the 600 changes made, things will be a bit confusing. Make sure you know how it will affect you. 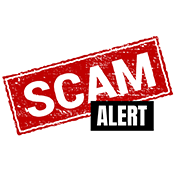 Scammers are increasingly targeting older adults for financial scams. Some are simple while others are more deceptive. 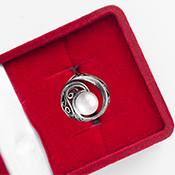 Will you say I do, too? For older adults, marriage can be complicated and saying “I do” may not be the best thing financially. There is a lot to consider before popping the question. Ladies and Gentlemen, Act 2 is now beginning. You still have plenty of energy and enthusiasm so why sit out a possible second act. 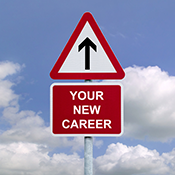 Consider an encore career whether for passion or profit. SHORT-TERM – 52.3% of all US Treasury debt at the end of fiscal year 2018 (9/30/18) had a maturity of less than 3 years, i.e., debt that will mature before 9/30/21 and will be rolled over or paid off (source: Treasury Department). NOT STOPPING - 48% of working Americans surveyed in 2018 anticipate working past age 65, up from just 16% of workers who felt that way 30 years earlier (source: Employee Benefit Research Institute). CARS - The sales of vehicles in China in 2018 totaled 28.1 million, down 3% from 28.9 million in 2017, China’s first year-over-year decline in vehicles sales in 20 years (source: China Association of Automobile Manufacturers). FIRST STATE TO DO THIS - Publicly held companies domiciled in the state of California are required by a new state law to have at least 1 woman on their board of directors by 12/31/19. The gender requirement increases to “2 of 5 directors” or “3 of 7 directors” by 12/31/21 (source: National Public Radio). It was less than 2 months ago (12/19/18) that the Federal Reserve raised short-term interest rates for the 4th time in 2018 and released a post-meeting statement that indicated 2 more rate hikes were likely to occur in 2019. In spite of that message, bond market watchers had already begun to suspect that support for those rate hikes was waning, suspicions that were validated when the Fed’s public statement following their most recent 1/30/19 meeting suggested that their next interest rate move could be “down” instead of “up.” Over the last 30 years, the shortest span of time between the end of a rate-tightening cycle (i.e., raising rates) and the first Fed easing (i.e., cutting rates) was just 3 meetings over 5 months in 1995, i.e., a 2/01/95 rate hike to a 7/06/95 rate cut (source: Federal Reserve). It has been an unexpected gift for the American housing industry: the average interest rate nationwide on a 30-year fixed rate mortgage was 4.41% last week, down more than ½ of 1% (from 4.94%) in just the last 3 months. That lower interest rate translates into a “principal and interest” payment on a $300,000 mortgage that is nearly $100 a month less, i.e., $1,504 per month compared to $1,599 per month (source: Freddie Mac). The bull market for stocks is now inside of a month to its 10-year anniversary that will be achieved on 3/09/19. The current bull run for the S&P 500, already the longest in US history, will need a continuation of the expansion of corporate profits to keep the bull running (source: BTN Research). OTHER PEOPLE’S MONEY - 59% of 1,001 registered voters surveyed in early January 2019 support the idea of raising the top individual marginal tax rate from 37% to 70% (source: Hill-HarrisX poll). CRAZY HIGH - For the 13 consecutive years from 1951-1963, the top individual marginal tax rate was at least 91%. The top individual marginal tax rate for 2019 is 37% (source: Internal Revenue Service). JOBS - Iowa had the lowest unemployment rate (2.4%) in the nation as of 12/31/18. Texas added +391,800 jobs in 2018 (to 12.7 million), more than 3 times the +121,900 jobs added in New York (source: Department of Labor). REALLY?! - 1,777 Americans filed with the Federal Election Commission to run for president in 2016, a requirement for candidates who raise or spend at least $5,000 of contributions and expenditures (source: FEC). It was a shutdown that started on 12/22/18 when Congress failed to sign off on 7 of the 12 annual spending bills that it is required by law to authorize by the start of a fiscal year, i.e., in this case by 10/01/18. Those 7 spending bills, still unresolved as of today, represent an estimated $313 billion of annual government spending (out of a $4.4 trillion annual budget) and impacted 800,000 federal employees (out of 157 million working Americans). When the partial government shutdown ended after 35 days last Friday 1/25/19, the government had recorded the longest shutdown in our nation’s history, eclipsing the previous record of 21 days (set in 1996) by 2 weeks. The agreement that was reached however was simply a 3-week stop-gap (to Friday 2/15/19) that allows for additional discussions between Washington lawmakers (source: BTN Research). Our nation’s weekly report on initial claims for unemployment benefits (for the week ending 1/19/19) showed that just 199,000 jobless Americans applied for first-time assistance, the lowest level in the United States since 11/15/69 or more than 49 years ago. By comparison, at the depths of the real estate crisis that began in 2008, first-time claims for jobless benefits reached 665,000 for the week ending 3/28/09 (source: DOL). Stocks (as measured by the S&P 500 stock index) peaked on 9/20/18, bottomed on 12/24/18 (falling nearly 20%) and now have retraced 54% of that loss in a span of just one month. That rapid of a bounce-back is not customary: since the end of WWII, the S&P 500 has taken an average of 24 months to erase bear market tumbles of at least 20% (source: BTN Research). With the new year just starting, it is a good time to review your estate plan especially with the recent changes in the tax law. 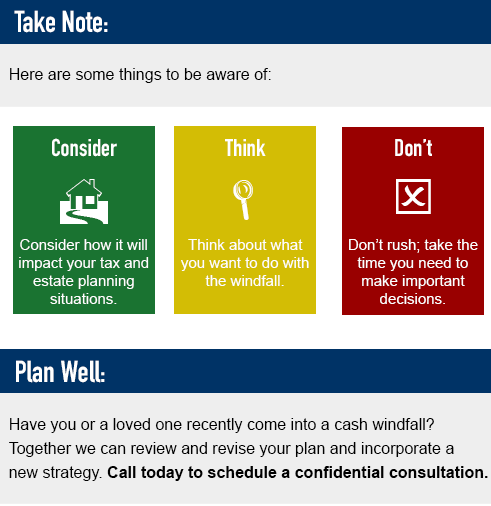 Changes in your financial and personal situations are also reasons to make sure your plan is up to date. 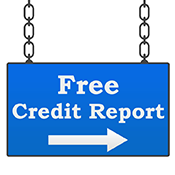 Many people put off things like checking their credit report but there are good reasons why you should. It’s easy and free so why not begin the new year knowing it is right? 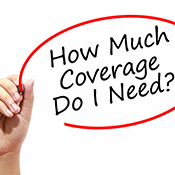 Make sure you have all the right insurance coverages. Whether it is life insurance, disability or long-term care insurance, life changes affect your needs. It is always a good thing to know where you are going. One of the most important steps is reviewing your portfolio. Any one of these circumstances could substantially change your financial picture and impact your financial plan. Windfalls sometimes lead to bad decisions so it is important to make sure you proceed in the best way possible. Our culture fosters charitable giving, and most of us do give to causes important to us. 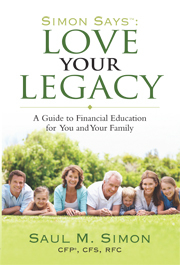 In addition, giving allows you to reduce your tax burden, build a legacy and support a passion. An unlikely partner in our efforts is the IRS. Our tax code allows for more tax efficient ways to give. Unfortunately, the techniques available are largely unadvertised and underutilized. With some guidance and a little planning, you can make a bigger impact. There are many income, estate and capital gains advantages to explore to determine what is best for your situation. If you find yourself writing personal checks to charitable organizations, it may be time to investigate better options. 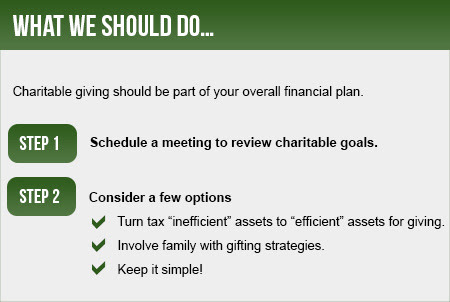 Contact me today to review more efficient ways to give. As we age, our physical needs change resulting in the necessity for more extensive health care. While we cannot control the results of the aging process, we can find the best ways to cope with these changes to preserve and protect our good health for as long as possible. Health care and long-term care insurance go hand in hand. The rising cost of health care makes planning for and covering any long-term care needs you may have essential. The income benefit you receive can be used to pay for your long-term care and assures that you get the help needed for your personal care when you cannot provide it for yourself. Need more information? I’m always here to help and answer any questions you may have. Is Your Life or the Life of Someone You Care About in Motion? I do my best to stay in touch but change happens very quickly. With change comes opportunity – I am always here to help! Here are a few action items that may necessitate the need for a new financial plan or an update of your current plan. grandchildren – give the gift of an education! Have you gone through any of these life changes recently? Or perhaps you will soon? Call me and we’ll discuss appropriate ways to prepare for these events. DO ANY OF THESE ISSUES CONCERN YOU? Call or email today. I am always here to answer any questions you may have. 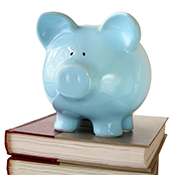 The college savings plan allows you to open an investment account to save for a wide range of education expenses, including room and board. Also, beginning in 2018, you may use up to $10,000 in annual tax-free 529 account withdrawals for pre-college students such as private high school and elementary costs.5The plan consists of various investment portfolio options. Typical options include various mutual fund and exchange-traded fund (ETF) portfolios as well as a principal-protected bank product. 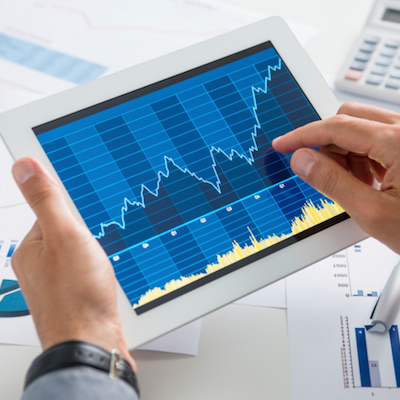 These portfolios may also include static fund portfolios and age-based portfolios. In contrast to a static portfolio, an age-based portfolio works on a glide path towards more conservative investments as the beneficiary ages closer to college. 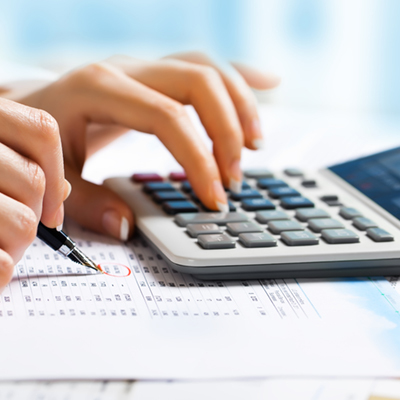 Keep in mind that while the account holder can make changes to the investment options in the plan, they are only permitted to change the investment option twice per year, or when there has been a change in beneficiary.6 Also, you may only withdraw money that you invest in a college savings plan for qualified education expenses, otherwise you may be subject to taxes and other penalties. I hope this message finds you and your family healthy and happy. Each week I provide an e-mail communication that covers a wide variety of financial related topics. The content is educational in nature and considered "general information" which I hope you continue to find interesting and helpful. However, your specific needs might require more detail and depth. Click on the informational brochure to the right. It "dives a little deeper," and speaks more specifically to coordinating the different pieces of your financial life. Even in today's digital era, there is no substitute for one-on-one conversation. If/when convenient for you, I would love to schedule a time to talk, address any financial questions, issues or concerns you may have. Please reply to this email with a few dates and times that work for you - I look forward to catching up. Each decade, American lifespans increase. Today, some 2 million people are 90 years of age and older, and that population is expected to quadruple by 2050. While most welcome the chance at longer life, fewer are ready to deal with the ailments and chronic conditions that often accompany the latter years. That’s why understanding long-term care services is an important part of planning for the future. The majority of people 90 and older have some type of disability or chronic condition. The cost of care for these people can be staggering. A private room in a nursing home costs around $97,000 a year (national average). For those who prefer to receive care at home, the national average hourly rate for a home health aide is nearly $22 per hour, while skilled home health care rates are significantly greater, with the national average fee for a registered nurse at $79 per hour. As eye opening as these figures can be, there are several other important factors to consider when thinking about long-term care. Skilled nursing care. The program will pay for rehab in a skilled nursing care facility following a hospital stay. For example, if you fell and broke your shoulder, you would be entitled to a stay in a facility that helped you recover so that you could go back home and continue living independently. Medicare only covers up to 100 days of this type of care. Home health care. If you need short-term care while you recover from an illness or injury, Medicare will cover the cost of having nurses or therapists come to your home. However, this is not around-the-clock care and is limited to 35 hours per week, though your doctor can help you qualify for more. It should be noted that Medicare does not cover the largest aspect of long-term care, which is custodial care, such as help with bathing or dressing. Hospice. Medicare covers end-of-life care for a terminal illness. You are eligible if you are not being treated for your illness, and your doctor must certify that you have no more than six months left to live. Medicaid, the government health insurance program for low-income people, does cover long-term care services. However, eligibility requirements vary from state to state, restricting access for those with income and assets above their state’s threshold. This often requires individuals to spend down their assets before qualifying, potentially impacting the standard of living of a spouse and legacy plans. The program is careful in ensuring people aren’t sheltering money elsewhere, so there’s now a five-year “look back” period. In other words, if you transfer assets to a trust or to your children, you cannot apply for government aid for at least five years. Additionally, only certain nursing homes accept Medicaid patients, so you might be limited in which facility you can go to. Paying for long-term care on an as-needed basis is how some people plan to address this expense, or in combination with the other options. However, nearly 75 percent of people significantly underestimate the costs associated with long-term care. Long-term care can be a difficult topic to discuss. A majority of people do not believe they will have a long-term care need in their future, and the thought of aging can be unsettling. But if it’s left unaddressed, families may be left to make some very rushed and expensive decisions. 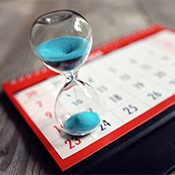 Advisors estimate that clients who experience a long-term care event and do not have protection in place could draw down their retirement savings at rates two to three times faster than planned. While it’s true that most long-term care needs begin in the home with care provided by family or friends, the number of people using nursing facilities, alternative residential care places, or home care services is projected to increase from 15 million in 2000 to 27 million in 2050. Plan ahead for long-term care by determining where you’d like to receive care if you need it and how you would pay for the care so that you can spend your latter years enjoying life with dignity and not worrying about how you’ll get the care you need.